All good things come to he (or she) who waits…and man, that happened to me. 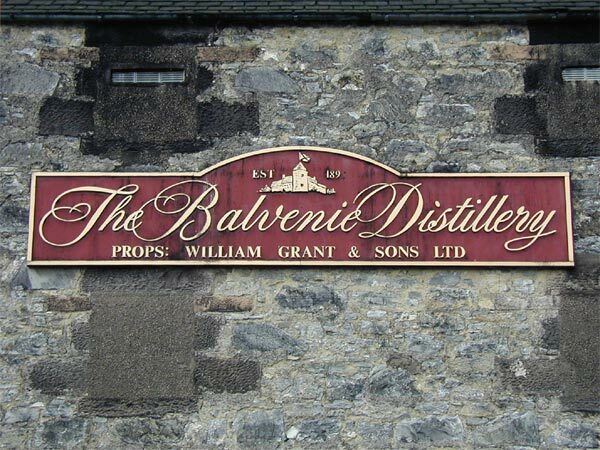 I’ve been trying to visit The Balvenie Distillery since mid 2016, and I even had to cancel a tour last year as work got in the way. Today I found myself spending rather a long time in whisky heaven…and I loved every single minute. What treats awaited me? What would I see? All those sights and sounds and of course aromas and tastes. I was met outside by Charles Metcalfe at the visitor centre. Then it was time for a coffee and to meet the others who were on the tour. This was a lovely group of four from America and shortly after a group of three men from Liverpool. So the time had come. We were told the history of the distillery and then we made a move to start… off to the malt house. It was great to see the barley steeping as well as being able to follow it through to the kiln. A real insight and treat…I had been hoping to see one of these processes, but not both. We then meandered through to the washbacks…the comment that made me smile was “and now you’re ready for whisky..” yum yum indeed. Being able to immerse yourself in an experience like this. Bliss! The stills were a lovely sight, and then off to the cooperage after calling shotgun. En route we passed all those wonderful warehouses where casks sleep. This was my first experience of a cooperage. All I can say is what a skill! From there we then drove back to the visitor centre to drop the van, where to next? I was really quite excited about this. Through the door, heavenly aromas greeted us. The dimly lit warehouse with the casks sleeping…maturing while we await their contents. Upstairs we enjoyed some samples from a first fill bourbon cask, a second fill bourbon and a sherry cask. Then time for samples back in the tasting room. From new make to a rather delicious dram from 1974…what an array of whiskies. Huge amount of thanks to Charles for a thoroughly informative tour, and to Lisa and Duane…your humour and fun were appreciated.